Fegans is a Christian children's charity, we work with children and parents who have complex needs and we are keen to support them holistically. We have been establishing a project in East Grinstead with the money Westhill Endowment have kindly granted us. We now have a volunteer co-ordinator employed for one day a week, she is leading the work and overseeing the delivery of the Parents Supporting Parents Programme in East Grinstead. 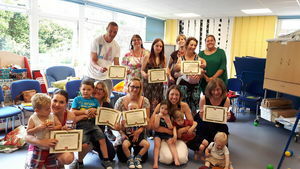 The programme is designed to see lives transformed, parents are referred to the programme via local schools and children's centres and volunteers work with the parents for 18 weeks. Nicola from Fegans on Vimeo.